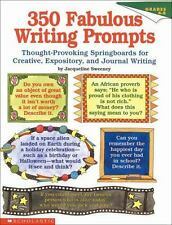 Writing prompts for Grades 4-8, like new book. Title: My Brother Bernadette (Banana Books) Item Condition: used item in a very good condition. Author: Jacqueline Wilson ISBN 10: 0434967297. Publisher: Heinemann Young Books ISBN 13: 9780434967292. Books will be free of page markings. Title: Werepuppy (The Werepuppy) Item Condition: used item in a very good condition. Publisher: Puffin ISBN 13: 9780140361292. Author: Jacqueline Wilson ISBN 10: 0140361294. Books will be free of page markings. Title: Snake on the Bus and Other Pet Stories Item Condition: used item in a very good condition. Published On: 1995-12-11 SKU: 7719-9780749723897. Will be clean, not soiled or stained. 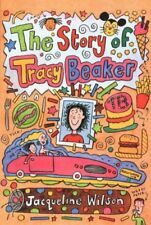 Title: Story Of Tracy Beaker Item Condition: used item in a very good condition. Author: Jacqueline Wilson ISBN 10: 0440862795. Books will be free of page markings. Publisher: Transworld Publishers ISBN 13: 9780440863380. Title: Cliffhanger Item Condition: used item in a very good condition. Author: Jacqueline Wilson ISBN 10: 0440863384. Jacqueline Wilson. Author: Jacqueline Wilson. BZDB1 Fiction; Making Hate Jacqueline Wilson. Making Hate. Full title: Making Hate. First Edition Hardcover (Original Cloth) MacMillan, 1977 Very Good Condition in Good Dust Jacket. Publisher: Puffin / Penguin Books ISBN 13: 9780140373424. Author: Jacqueline Wilson ISBN 10: 0091695414. Title: Deep Blue Item Condition: used item in a very good condition. Author: Jacqueline Wilson ISBN 10: 0440865417. Title: Buried Alive Item Condition: used item in a very good condition. Author: Jacqueline. Sharratt Wilson ISBN 10: 0385601824. Title: Secrets Item Condition: used item in a very good condition. Author: Jacqueline Wilson ISBN 10: 0006729703. Will be clean, not soiled or stained. Binding: Paperback Language: english. Books will be free of page markings. Title: Nobody's Perfect (Archway) Item Condition: used item in a very good condition. Author: Jacqueline Wilson ISBN 10: 0192715763. Will be clean, not soiled or stained. Author: Jacqueline WILSON ISBN 10: 0385407041. Title: Buried alive! Item Condition: used item in a very good condition. Publisher: Corgi ISBN 13: 9780440863663. Title: The Lottie Project Item Condition: used item in a very good condition. Author: Jacqueline Wilson ISBN 10: 044086366X. Will be clean, not soiled or stained. Title: THE WEREPUPPY. Item Condition: used item in a very good condition. Author: Jacqueline. Wilson ISBN 10: 0141318287. Will be clean, not soiled or stained. Author: Jacqueline Wilson ISBN 10: 0192750194. Publisher: Oxford University Press ISBN 13: 9780192750198. Will be clean, not soiled or stained. Published On: 1999-06-10 SKU: 7719-9780192750198. 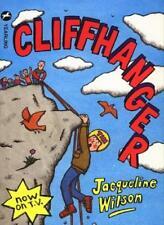 Author: Jacqueline Wilson ISBN 10: 0140344195. Title: The Left-Outs Item Condition: used item in a very good condition. Will be clean, not soiled or stained. Publisher: Mammoth ISBN 13: 9780749728144. Title: Monster Eyeballs (Blue Bananas) Item Condition: used item in a very good condition. Author: Jacqueline Wilson ISBN 10: 0749728140. 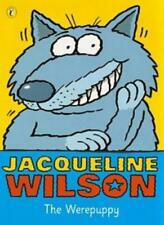 Author: Jacqueline Wilson and Nick Sharratt ISBN 10: 044087064X. Publisher: Jacqueline Wilson ISBN 13: 9780440870647. Title: Double Decker -Double Act and Bad Girls Item Condition: used item in a very good condition. HIDE AND SEEK by Jacqueline Wilson 1973 First Ed. Dust jacket shows light rubbing and small nick to top edge. so I do not open the binding and pages wide for pictures, I will do my best to capture the photo the best I can. Author: Jacqueline WILSON ISBN 10: 0385408064. Title: Girls out late Item Condition: used item in a very good condition. Will be clean, not soiled or stained. Published On: 1999-01-01 SKU: 7719-9780385408066. Title: Twin Trouble (Read Aloud Books) Item Condition: used item in a very good condition. Books will be free of page markings. Book Details. Will be clean, not soiled or stained. Publisher: KINGFISHER BOOKS LTD ISBN 13: 9780753400180. Author: JACQUELINE WILSON ISBN 10: 0753400189. Title: Mr. Cool (I am Reading) Item Condition: used item in a very good condition. Will be clean, not soiled or stained. Title: Video Rose (Blackie Snappers) Item Condition: used item in a very good condition. Publisher: Blackie Children's Books ISBN 13: 9780216932739. Author: Jacqueline Wilson ISBN 10: 0216932734. Jacqueline Wilson. Author: Jacqueline Wilson. Truth or Dare. Full title: Truth or Dare. Softcover Penguin Books, 1975 Good Condition. Publisher: Penguin Books, 1975. Book Condition: Good Condition. Pages browned. Author: Jacqueline Wilson ISBN 10: 1903015014. Title: Jimmy Jelly Item Condition: used item in a very good condition. Title: Connie and the Water Babies (Mammoth Storybook) Item Condition: used item in a very good condition. Publisher: Mammoth ISBN 13: 9780749728267. Author: Jacqueline Wilson ISBN 10: 0749728264. Will be clean, not soiled or stained. Title: Biscuit Barrel - Cliffhanger and Buried Alive Item Condition: used item in a very good condition. Publisher: Jacqueline Wilson ISBN 13: 9780440870623. Will be clean, not soiled or stained. Publisher: Heinemann Educational Publishers ISBN 13: 9780602263034. Title: Impact: Set B Sophie's Secret Diary Item Condition: used item in a very good condition. Will be clean, not soiled or stained.